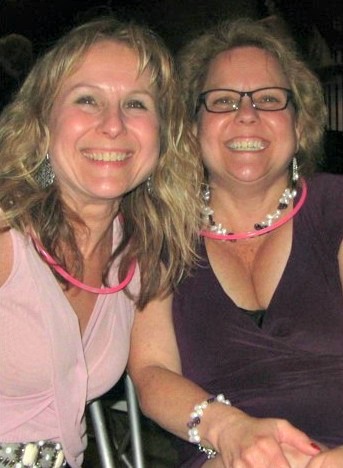 Proud residents of Chicago, Theresa and Linda attended their first Art Bra Austin in 2011 and were deeply inspired by the strength and courage of all of the women that make up the BCRC family. They have been creating art bras for the show ever since and are thrilled to be participating once again! This year is especially significant for the two sisters because it is the first time they collaborated on the art bra design. Linda, a self-described “obsessive knitting enthusiast” lives in a suburb of Chicago with her husband, their two sons and dog. When she is not working or knitting, Linda volunteers at Alexian Brothers Hospital and Clearbrook. Theresa has taught Fashion Design for 35 years and lives across the street from Lake Michigan, which serves as a great inspiration for her creativity. 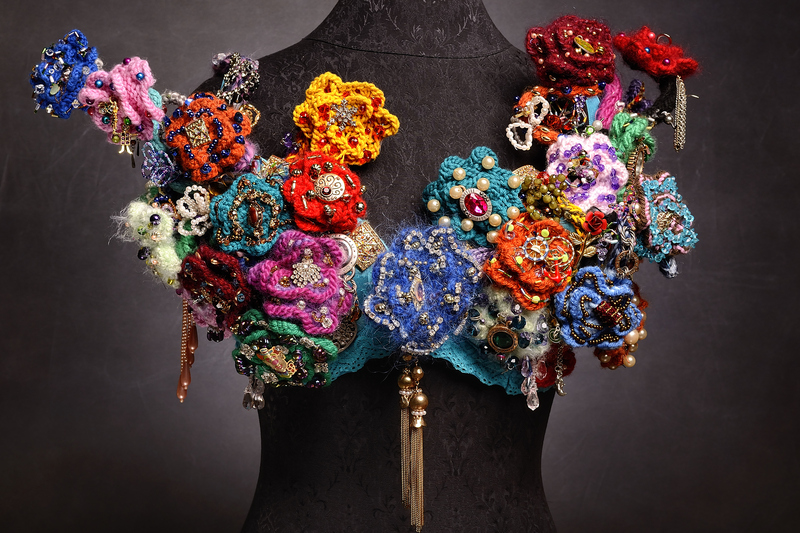 She mainly creates garments and projects using fiber art, however, she notes that participating in Art Bra Austin has pushed Theresa’s creativity in amazing new ways directions. As a friend to many women who have survived breast cancer, Theresa enjoys using her talents to support such a worthy cause. Art Bra artist veterans, Linda and Theresa, combined their artistic techniques of knitting and beading to complete the piece. This was the first time the artists collaborated on a piece of art together. In the process they found that working together increased their creativity, as well as their respect for each other’s talent. Linda knitted the multi-colored flowers and tubes, while Theresa stuffed the tubes with wire and embellished the flowers. The result of their work is a vibrant and intricate 3-D floral arrangement, resembling the sisters’ bouquet of hope for a cure to breast cancer.